Why do people need to experience physical and spiritual pain before knowing God? 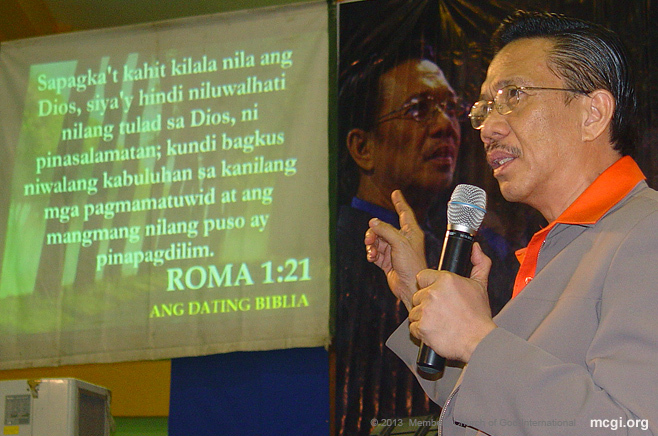 To the question by one of the inquirers during the recent Worldwide Bible Exposition, Bro. Eli Soriano explained that just as pain is a part of life, it plays a vital role in a person’s life. Using as example what people with diabetes feel in relation to pain, Bro. Eli explained that a diabetic person’s nerve endings have been destroyed by high sugar levels in their blood, incapacitating their feeling of pain. Bro. Eli also cited passages from the acclaimed Filipino bard Francisco “Balagtas” Baltazar, who said that people raised up in pleasures are usually barren or wanting. Those who grew up in difficulties, however, have hope, and cited Lamentations 3:27-32. 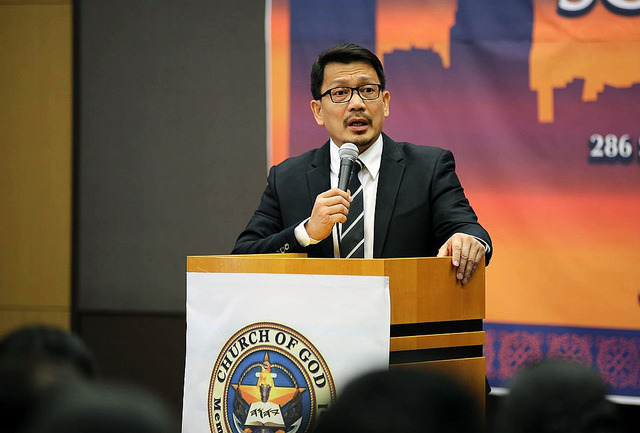 The Overall Servant of the Members Church of God International (MCGI) said that his experience making a living at an early age can attest to the advantages of growing up in adversity. There are those who commit suicide for experiencing just a little hardship in life. The Old Path host said these people are the ones accustomed to revelings and luxuries. So when hardship comes and pain becomes unbearable, suicide seems to be the only solution to end their sufferings. In an article published by TheRichest.com, “10 Countries With the Highest Suicide Rates in the World” (September of 2014), it mentioned a study by the World Health Organization that estimates that one person commits suicide every 40 seconds. “It’s [thus] better that we feel pain and suffering. We need it to make us stronger, to develop resistance against all sorts of things that may come in our lives,” stressed Bro. Eli. The Worldwide Bible Exposition of the Members Church of God International is hosted by Bro. Soriano and Bro. 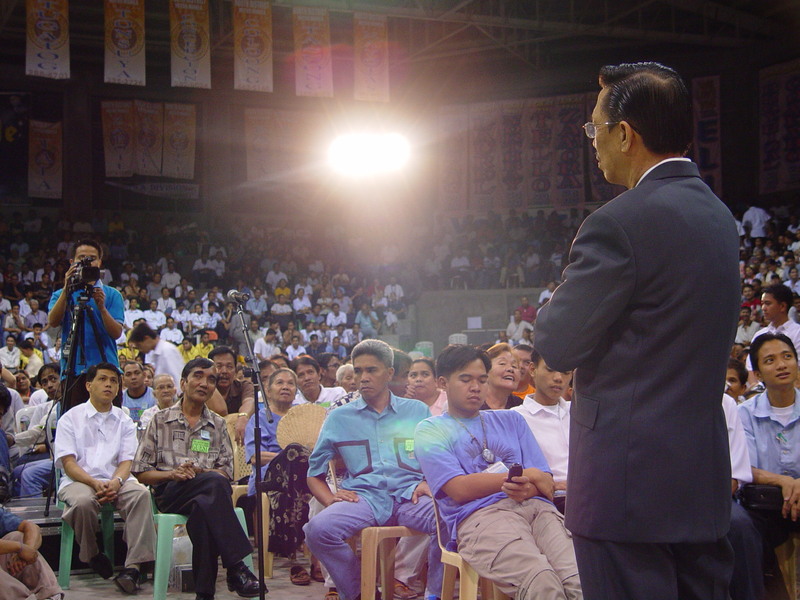 Daniel Razon, where its guests can ask the MCGI Overall Servants any question about faith live and for free. 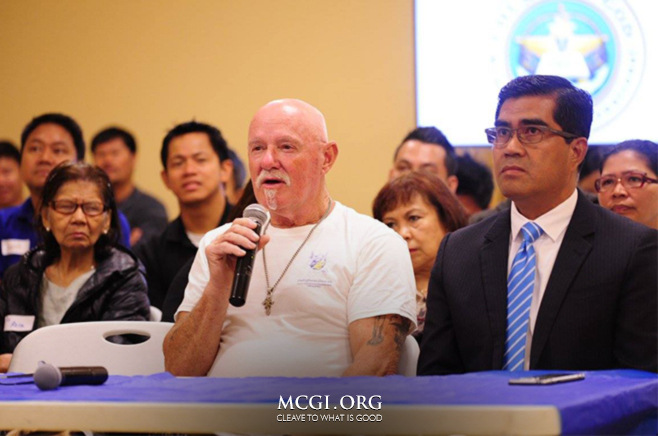 During the event, more than 1,360 monitoring centers in the Philippines and abroad participate via Internet and satellite, along with MCGI’s Mobile Coordinating Centers. 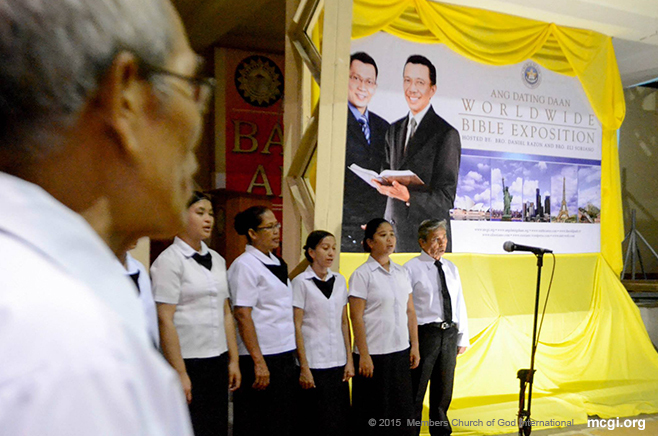 For more information about MCGI’s upcoming events, please see MCGI’s online calendar, or email us at info@mcgi.org. Bro. Eli Soriano at the Araneta Coliseum in the Philippines entertaining people’s question and reading the Bible’s answers live. As August sets in, Members Church of God International will have an entirely different itinerary of activities. Changes in schedules were made for the Bible Exposition, Thanksgiving, and Worship services. In addition, a new Prayer Meeting schedule will take effect. The Bible Exposition held Tuesdays each week will now be held on the first and last Fridays of the month beginning August 5. The adjustments were done in consideration of the requests to hold the Bible Exposition near weekends. After the new schedule takes effect, the mass indoctrination opens on August 8. This is for those who are either interested in membership or added doctrinal learning. In the former setup, hotels, auditoriums, and large assembly halls in a region’s central suburb serve as focal point for receiving live broadcast feed. Under the new scheme, all coordinating centers with satellite receivers will be opened to those who are distant from the larger venue. Coverage is wider as more people are expected to benefit from the new system, without guests having to travel far from their places of origin. With the changes made, regular Thanksgiving schedules during the first and last Saturdays will be moved to the following Sundays effective August 6. The afternoon of Saturday will be intended for the Worship Service. In the new system, only the second and third week schedules remain in their original calendar. The MCGI congregation also has a new Prayer Meeting setup. Once a month, a special prayer meeting will be held on Tuesdays, apart from the regular Wednesday and Thursday schedules. It is likely that the new set-up will be gradually adopted abroad. Bro. Eli Soriano and Bro. Daniel Razon hope that the changes will bring more convenience to all concerned.